Paul J. Stubler has a birthday today. Paul J. Stubler added a comment on Gary L. Clare's Profile. Paul J. Stubler updated profile. View. Paul J. Stubler added a comment on Profile. Paul J. Stubler joined via Class Connection Facebook app. 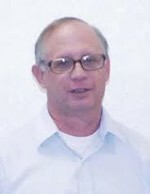 Paul J. Stubler added a comment on Robert Alan Sipes' Profile.